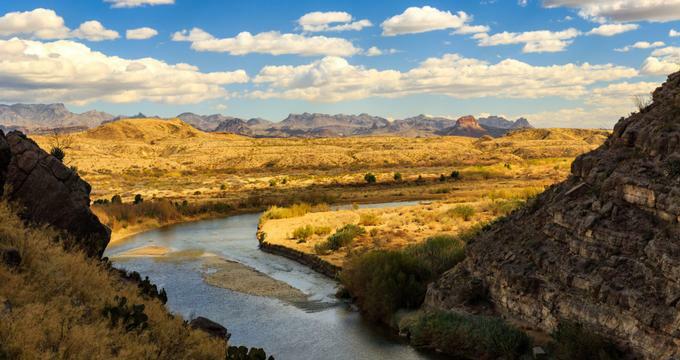 The remote region of Big Bend in west Texas boasts a long-established tradition of hospitality, and in fact is part of what makes the region so popular among tourists. Visitors will find a wide variety of lodging options, from economy motels to four-star luxury resorts. A large majority of these accommodations are conveniently located near famous Big Bend National Park, with a few located right next to or within the park. The town of Terlingua is full of crazy attractions and history and boasts a ghost town that draws visitors from all parts of the world. Chisos Mountains Lodge is nestled in the heart of the Big Bend National Park, uniquely situated within the basin of the grand Chisos Mountains. The lodge is the only accommodations available within the national park and offers modern comforts along with the famous hospitality for which Texas is known. Guests who stay at Chisos Mountains Lodge are treated to serenity and beautiful scenery in addition to a vast and undisturbed wilderness. All of this is within a short walk to the lodge’s services as well as easy access to the many world-famous trails for hiking found throughout the park. Lajitas Golf Resort and Spa is tucked away between Big Bend Ranch State Park and Big Bend National Park in historic Big Bend, Texas. The resorts offers the perfect escape in the Big Bend area for visitors to simply “get away from it all.” The property encompasses 27,000 acres, offering a rugged desert setting, natural beauty, and solitude rich in the history of the Old West. Among the many amenities of the resort are a world-class 18-hole golf course, an equestrian center that offers horseback riding, a cowboy action shoot, a five stand sporting clay shoot, and several other activities. 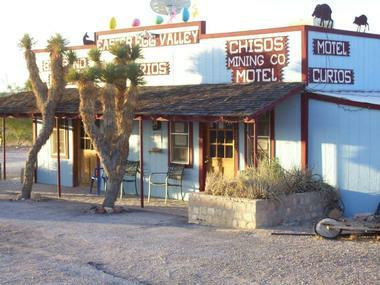 Situated only a few minutes from Big Bend Ranch State Park or Big Bend National Park, the Chisos Mining Company Motel has been locally owned and operated for over 40 years and is the oldest guest lodge in continuous operation in the Terlingua/Study Butte area and South Brewster County. The motel features a variety of lodging options, including single rooms, double rooms, cabins both small and large, condos, and even a whole house. Guests will find affordable, comfortable, clean, and cool accommodations offered with a generous amount of Texas hospitality within a few miles of all that Big Bend has to offer. The El Dorado Hotel, located in the town of Terlingua, Texas, is only approximately 10 minutes away from the entrance to Big Bend National Park and around 20 minutes away from the state park’s entrance. Among the many different guest room options available at the hotel are single rooms, double rooms, guest rooms with king beds, and even a renovated tour bus that has been converted into a stand-alone lodging option. 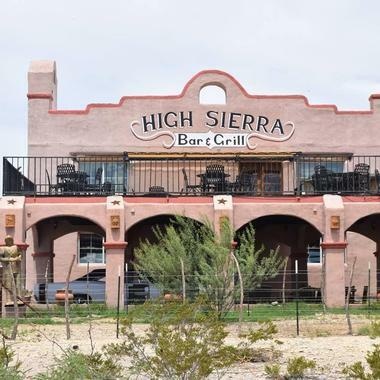 The High Sierra Bar and Grill is open every day of the year, offering a variety of food, beer, and music. The full menu is served until 10:00pm. 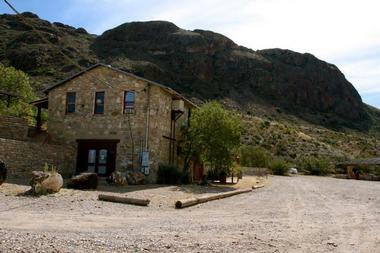 The grounds of La Posada Milagro are situated within the original Ghost Town in Terlingua. Constructed on top of ruins, the hotel boasts rustic yet luxury accommodations at a relatively affordable price. 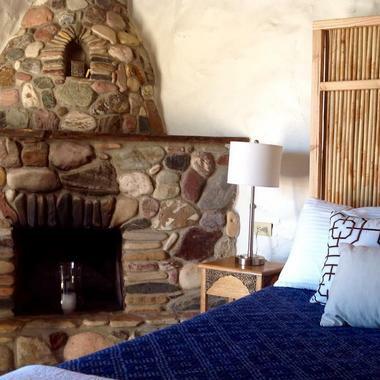 Guests can enjoy spectacular views of Big Bend National Park, the Chisos Mountains, and old Terlingua, along with fire pits and sun decks scattered across the property. La Posada Milagro is also conveniently located only minutes from Big Bend National Park, Big Bend Ranch State Park, outfitters, restaurants, and shops. The hotel is an amazing restoration of the original architecture of Terlingua, providing guests with an experience unlike any other. Terlingua Ranch Lodge is located between Big Bend State Park and Big Bend National Park in Terlingua, offering solitude, quiet, and clear skies surrounded by the amazing beauty of the unique area of the country. 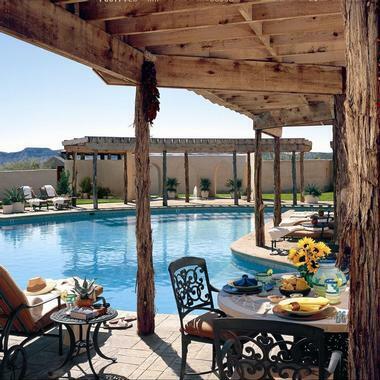 Guests can explore the Chihuahuan Desert of Big Bend during the day, then relax by the pool, at the café, or on their very own front porch. Guest rooms are spread out across eight different buildings situated at the foot of Whitehouse Mountain. 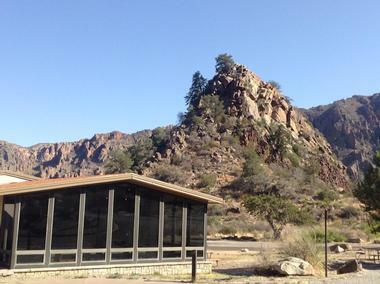 The lodge also has campsites and RV hookups within the some of the most precious wilderness in the nation. Approximately 5 miles to the north of Study Butte, in the town of Terlingua, is Wild Horse Station. The unique accommodations consists of a series of cabins with full kitchens, shaded porches, satellite television, and amazing views. Wild Horse Station offers a true cabin experience as well as a real opportunity to truly get away from everything and simply enjoy the surrounding nature. The cabins are spacious and clean, with two bedrooms and a bathroom, and are perfect for visitors who want amazing views and quiet. The surrounding mountains provide the perfect backdrop to enjoy the peaceful tranquility of the rustic setting. The Longhorn Ranch Motel is situated in the beautiful Big Bend area of the southwestern region of Texas, featuring accommodations for groups of nearly any size as well as a park for RVs. 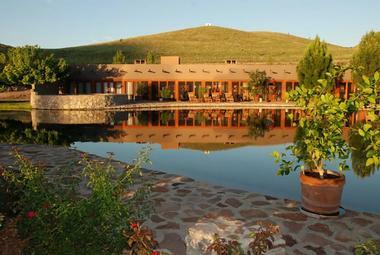 Guests can delight in spectacular views of the sunset and the surrounding nearby mountains. Stargazing is a particularly great thing to do in Big Bend, as the wide open space allows the stars to be seen clearly. Tivo’s Place Restaurant is right next door, so guests won’t have to go far to get a great meal. The motel also features a pool as well as rooms specifically for those with pets. Built in the year 1927, the Gage Hotel has long provided laidback and authentic luxury with its premier accommodations, great dining experiences, and quality service. The hotel features 45 guest rooms, offering an abundance of activities and hotel amenities, including a 27-acre native garden, heated pool, fitness center, and full-service spa. The concierge of the hotel is able to arrange a variety of activities for guests in nearby Big Bend National Park as well as in the surrounding area. The town of Marathon boasts charming shops and local dining establishments all within a short walk from the Gage Hotel. Riata Inn offers visitors to the Big Bend area an opportunity to journey back to the past, to a time of farming, the Wild West, and revolution. 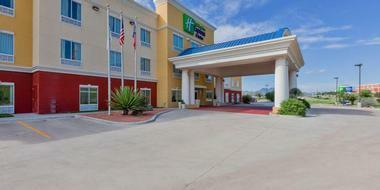 The inn boasts that they have the nicest and biggest rooms of any hotel in the town of Presidio in Texas. Conveniently located in the heart of town, the hotel is also just a short distance away from Big Bend National Park and Big Bend Ranch State Park. The national park features amazing scenery, birdwatching, mountain biking, and hiking. Copper Canyon and Peguis Canyon are also in the nearby vicinity. Hotel Saint George is steeped in the culture and history of the small town of Marfa, standing today on the same site as the original hotel that was built back in 1886. The lobby features repurposed materials from the 1929 incarnation of the building, such as reclaimed marble surfaces and brick walls that all meld with the contemporary artwork created by artists who live in or are connected to the local community. 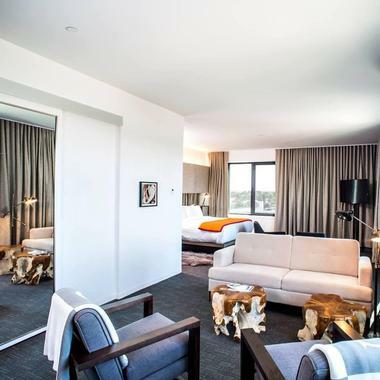 Hotel Saint George consists of 55 guest rooms, all thoughtfully designed to provide the ultimate amount of comfort for guests while showcasing the natural beauty and iconic artistry of Marfa. As one of the state’s oldest ranches, Cibolo Creek Ranch is a place where antiques, art, and historical artifacts combine to provide a true atmosphere representing the 19th century. The buildings at the ranch give off a sense of togetherness, a feeling that culminates itself at meals, which are often served in the dining room at a long farm-style dining table. The grounds of Cibolo Creek Ranch span approximately 30,000 acres, offering plenty of space to discover the great outdoors, including a wide variety of activities that are led by ranch hands with plenty of experience. The Hotel Paisano is a historic and charming hotel consisting of 41 guest rooms and guest suites as well as a fitness center, seasonal heated swimming pool, casual restaurant, and a lounge with courtyard seating. The hotel also has a large room full of memorabilia, an art gallery, a gift shop with an extensive assortment of items, and event space. 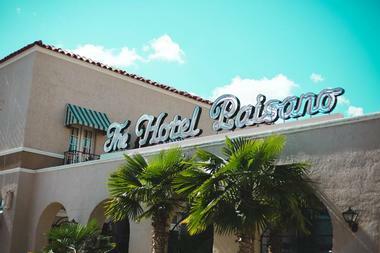 The Hotel Paisano is not only a destination of west Texas, but also a social hub and meeting place for the local community and an inviting oasis for visitors. The hotel offers an ideal accommodation for exploring the surrounding area. Holiday Inn Express and Suites Alpine Southeast is conveniently located just a short distance away from the well-known Big Bend National Park, the McDonald Observatory of Fort Davis, and the Wonders of Marfa Lights. The hotel offers visitors more of a “home” in the desert than several other lodging options in the Big Bend area, providing all of the modern comforts of home. It is also situated close to the border of Mexico and provides an amazing view of the mountains that surround the town. Guests can enjoy a complimentary breakfast, an indoor pool, a fitness center, and wireless internet. 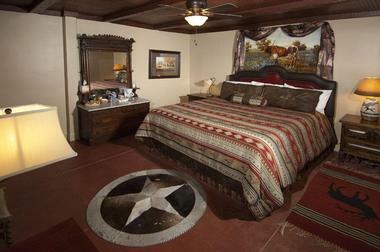 The Maverick Inn is a boutique motel located in the town of Alpine in Texas. Every one of the guest rooms is individually furnished and features expected modern conveniences and luxury amenities, such as Wi-Fi and a daily coffee bar. 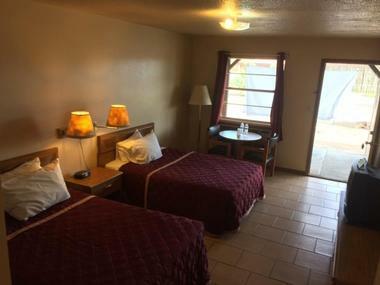 The motel is located in the center of the region of Big Bend, offering an ideal base for bikers, art enthusiasts, astronomers, hikers, or really anyone wanting to explore west Texas. Big Bend National Park, the McDonald Observatory, Balmorhea State Park, Big Bend Ranch State Park, Fort Davis, the town of Marfa, and more are all nearby. 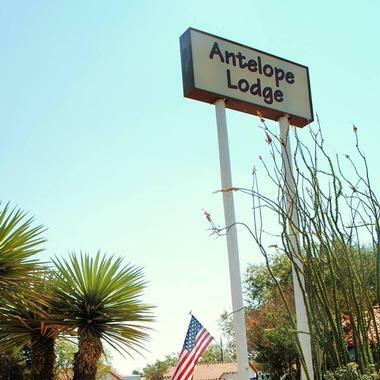 Antelope Lodge is a motor court hotel in Alpine, Texas, dating back to the 1950s. Nestled within the mountain valley, the hotel boasts beautiful surroundings and was one of the first of its kind built in western Texas, as well as one of the town’s oldest hotels in general. Many road warriors from throughout the world use the lodge as a base camp for exploring Big Bend National Park, Marfa, the Fort Davis Historic Site, Balmorhea, and the McDonald Observatory among other attractions. Antelope Lodge is pet-friendly and offers parking right at its cottages, which include kitchenettes, cable television, and air conditioning. 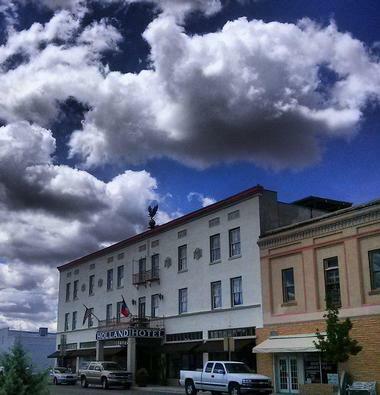 The Holland Hotel in downtown Alpine, Texas has long prided itself on offering the finest in west Texas hospitality by providing guests with the ultimate combination of history, charm, elegance, and hospitality. The hotel has been welcoming guests since 1928 and is a masterpiece of Trost & Trost, offering a unique piece of the history of west Texas. 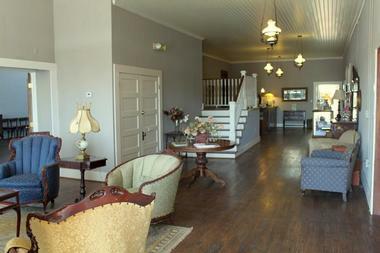 The Holland Hotel also acts as an epicenter for the community of Big Bend for both travelers and locals alike. Entertainment, dining, galleries, and shops are all just a short walk away, and guests can also enjoy live music in the courtyard. The Hotel Limpia is a historic hotel constructed in the year 1912 that has been carefully restored. The hotel is nestled within the beautiful Davis Mountains, situated in the mile-high Fort Davis in the southwestern region of Texas. 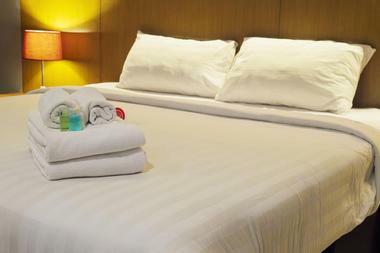 It currently contains 31 guests rooms, including extra spacious rooms as well as suites. 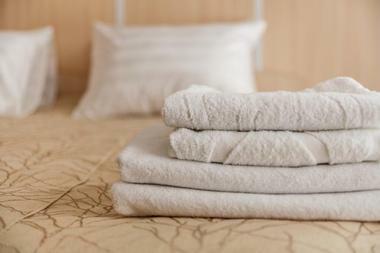 All guest accommodations are completely restored and feature free Wi-Fi, period furnishings, and private bathrooms. Hotel Limpia also includes porches with rocking chairs, a glassed-in veranda containing flourishing plants, and a courtyard garden filled with the smell of herbs and roses. 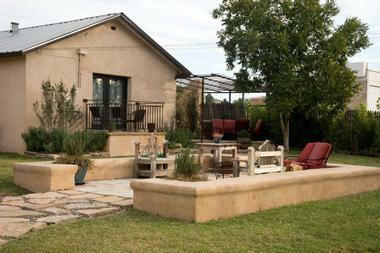 Its peaceful setting offers a comfortable hideaway. The Big Bend Holiday Hotel is situated conveniently in the Ghost Town of Terlingua, perhaps the most famous ghost town in the state of Texas. The Holiday Hotel manages an array of different lodging options near the Terlingua Trading Company and the famous Starlight Theatre. 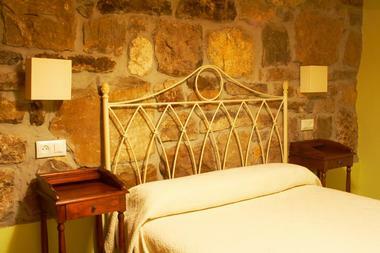 Many of the accommodations are designed with ranch-style decor with a hint of Spanish influence. The majority of them are rather fancy for being located in a ghost town, however, none put on any airs. Among the options for accommodations are a house, suites, and two bedrooms in the old Perry Mansion ruins. Located in the town of Terlingua, Big Bend Resort and Adventures is situated only 3 miles away from Big Bend National Park, one of the largest national parks in the US. In addition to the resort’s comfortable accommodations, there is also a park for RVs that features a campground and full hookups. Guests can will also find a cafe, the Boquillas Border Crossing, and horseback riding nearby, along with Big Bend Overland Tours, which offer visitors a chance to explore Big Bend National Park in an entirely different way. Big Bend Resorts offers an array of different lodging options.